This year really, truly is the gift that keeps on giving. Amidst rising international tensions, political feuds, sexual assault allegations all over Hollywood and NFL protesting, we have now found yet another thing to start an internet war over — Pizza. Yes, the simple invention that has transformed fighters into lovers, a bonding force in a world so divided, is now at the center of what the Twitter-verse is now calling the Great Pizza War of 2017. Some key players in the battle are Papa John (the man), Papa John’s (the place), DiGiorno (#notdelivery), the NFL and Colin Kaepernick (okay, indirectly but still). Let’s take a deep dive, shall we? The entire thing began when John Schnatter, aka Papa John of Papa John’s, claimed that the NFL protests -- where players have been kneeling during the national anthem in an effort to protest racial inequality and police brutality in the U.S. -- were responsible for the company’s dip in sales this quarter. "We are totally disappointed that the NFL and its leadership did not resolve the ongoing situation to the satisfaction of all parties long ago," Schnatter said in a call with investors on Wednesday. "This should have been nipped in the bud a year and a half ago." It’s important to note that the NFL is crucial to the success of the pizza chain, as both businesses have been partnering together since 2010. Papa John's is the official pizza of the NFL. Papa Johns stock down $6.57..poor sales. Yeah, not such a good look. The CEO of Pizza Hut just called Papa John, flushed a toilet, then hung up. 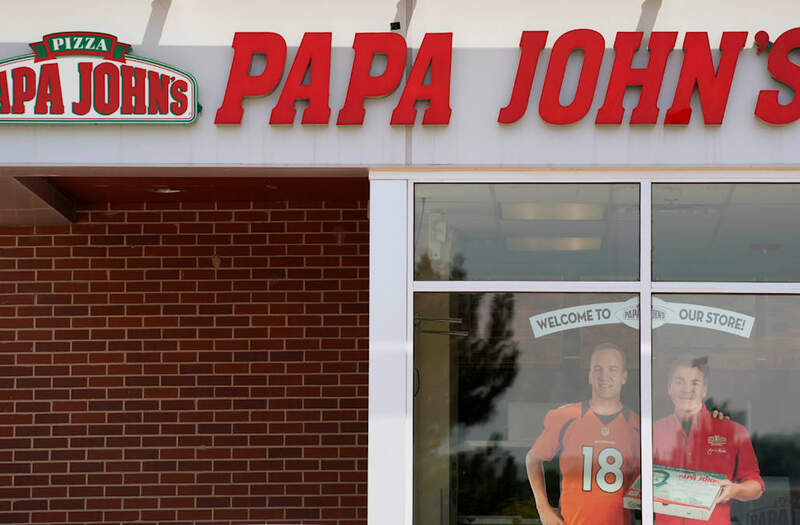 #FunAndGamesUntil someone orders Papa John's instead of Pizza Hut. Actual thought I had today: Pizza Hut retains the high moral ground relating to protests of violent police overreach. @JackPosobiec No more pizza Hut pizza's. HIM: So which side do you support politically? ME: Pizza Hut. Ridiculous, we know, but we’re not even at the good part yet. Out of whatever the equivalent of left field is in the world of pizza companies, comes none other than frozen pizza king DiGiorno Pizza with a savage subtweet aimed directly at none other than Papa John's. Some pizza chains just like to watch the world burn, we guess. @kvasmj Going to be a great night. @dylancelone That'll be the day. 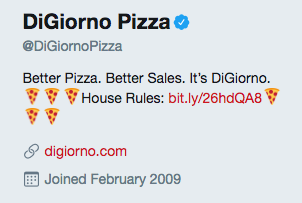 We do DiClare (that was a stretch, sorry) that DiGiorno might have just pulled off the pettiest move across all of Twitter, but hey, all is fair in chain-brand pizza and war right? This is a developing story that we truly cannot believe we are actually reporting on but when words fail, pizza speaks, so here we are.